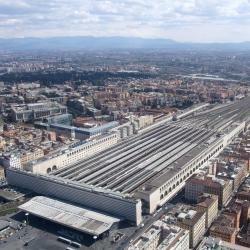 Looking for hotels near Auditorium Parco della Musica? Located in a quiet neighborhood of Rome, across from the popular concert venue Auditorium Parco della Musica, La Casa Di Momi B&B offers colorful rooms with air conditioning and free Wi-Fi. A charming town house in one of the most exclusive areas in Rome; Suite Oriani mixes antique furnishings with modern facilities including free Wi-Fi in each room. Face To Face House is a design hotel in Rome's Flaminio area, a 10-minute walk from the Flaminio Stadium. Enjoy free Wi-Fi access and exclusive, personalized services. Villa Duse is a small, friendly hotel in the Parioli district, offering design rooms in an elegant building with shared garden and free WiFi in throughout. The property was very charming. The breakfast room was beautiful. 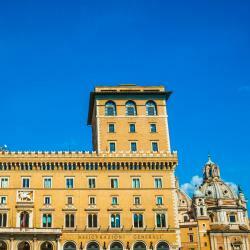 Discover a quieter, residential part of Rome at Grand Hotel Fleming. The friendly staff who also speak English. Best Western Hotel Astrid offers free Wi-Fi and stylish rooms with wood floors, an LCD TV with Sky channels and a mini-bar. In summer, breakfast is served on the 5th-floor terrace overlooking St. Very friendly and smart front desk person (lady and gentleman). 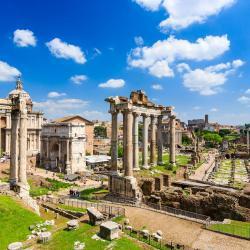 The 4-star Hotel Giulio Cesare is set in an elegant 19th-century building in the prestigious Prati area of central Rome, 984 feet from Lepanto Metro Station. Excellent Breakfast fast and near to attraction. 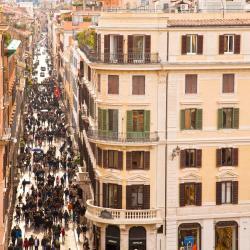 Set in Rome, within 1969 feet of Piazza del Popolo and a 5-minute walk from Via Cola di Rienzo shopping street, Hotel Otium features free WiFi. Clean and location is perfect. Featuring a traditional restaurant, Hotel Clodio is set in an early 20th-century building in central Rome. We had a Deluxe Double room (big balcony) and everything was wonderful. 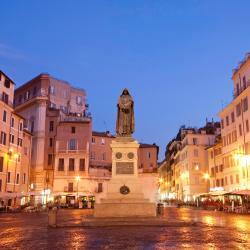 Hotel Lord Byron is in Rome’s classy and elegant Parioli district, just behind the Borghese Gardens. This exclusive hotel offers calm, quiet surroundings, excellent service and beautiful interiors. Everything is amazing, especially the service. Offering modern rooms with free Wi-Fi, the Hilton Garden Inn Claridge features a free wellness area with a gym, sauna and Turkish bath. Great location on bus line. Not near the largest attractions but easy to get to them. 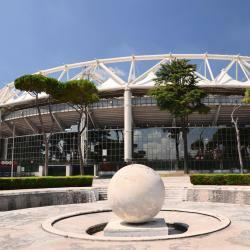 Hotels with great access to Auditorium Parco della Musica! Overlooking Villa Borghese, the Aldrovandi Villa Borghese features a swimming pool, spa and a large private garden. Very good hotel, lovely staff, clean room. Near to Villa Borgese park. Set in a leafy residential area in Rome, Residence Hotel Parioli offers air-conditioned rooms, suites and studios with a balcony. Wi-Fi and parking are free. The staff, room layout, cleanliness were excellent. Felt welcomed. I would stay here again easily. Offering panoramic views over the city and free WiFi, the Parco dei Principi is located next to Rome’s Villa Borghese park. The Parco dei Principi it a great hotel , don't miss the gym and the SPA are great ! Located just a few steps from Villa Borghese Park, River Palace Hotel offers elegant interiors and antique furnishings. Internet is free and rooms are equipped with air conditioning and satellite TV. Excellent location, helpful friendly staff, comfortable beds, great buffet style breakfast. Best Western Hotel Rivoli is located in Rome’s elegant Parioli district, near Villa Borghese, the Auditorium and the Modern Art Gallery. The staff offer customized assistance. The people were friendly and professional.